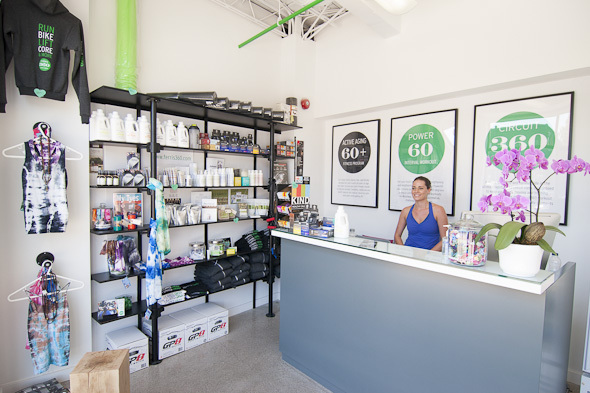 Ferris360 is a boutique-style gym that, according to the website, offers classes that are a combination of cardio, strength, power, core and flexibility exercises. Going in, my knowledge didn't extend beyond that description, so I had no idea what to expect when I showed up for the Power60 Interval Workout class with instructor Sylva. 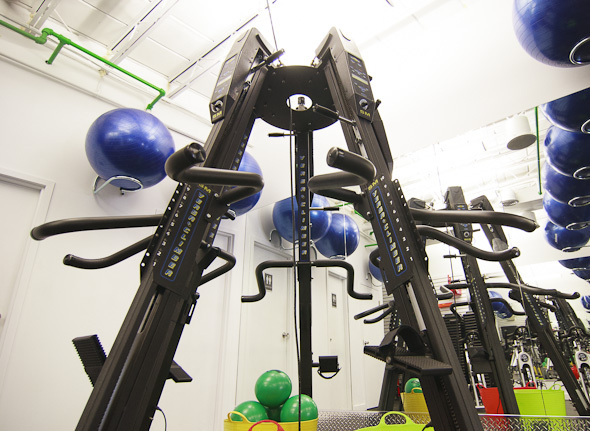 The sole studio at Ferris360 is a long, narrow room featuring a row of treadmills lined up against one wall, and dumbbells and aerobic step blocks against the opposite wall--in short, the bare-bones necessities. One advantage of coming to a small studio is that the classes are limited in size, which allows Sylva to give each of us more personalized attention throughout the class. Before we begin, Sylva points to the mirror where the day's workout is written out for us to see. We begin by doing timed intervals on the treadmill that constantly change by speed and incline--in total, we spend roughly 20 minutes running. When we finish on the treadmill, Sylva instructs us to pick two sets of dumbbells, and I like that she provides options for beginners and novice students. 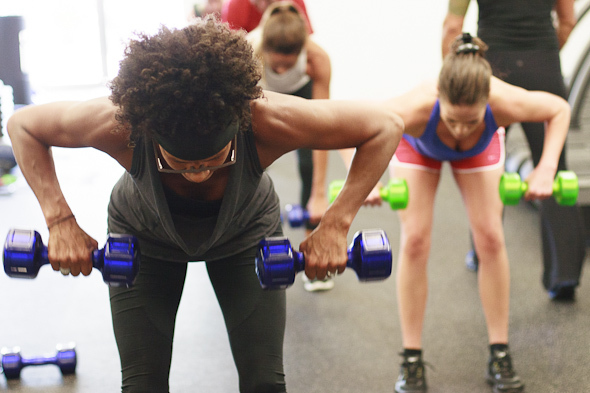 The floor work portion of the class involves moving through a circuit of eight or so exercises that include squat jumps, tricep dips (with dumbbells), plank rows (with dumbbells), and plyometric lunges. Each exercise within the circuit is timed, and then repeated two more times, with intervals during the second circuit lasting a little longer than the first. 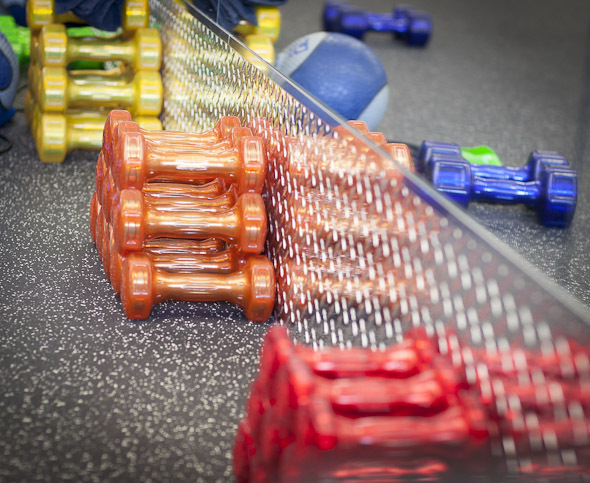 Initially, the series of exercises seem simple enough and I find myself enjoying the "break" from running on the treadmill--but then each set becomes increasingly harder to complete. During the tricep dip exercise, Sylva comments that she can see some people's arms shaking; I'm certain she's referring to me. Before we begin our third and final circuit of floor work, Sylva has us back on the treadmill, engaging us in one last short, but very intense, set of running intervals. I'm more than relieved when the music slows down and we begin to do some gentle stretching. Overall, I found the Power60 class to be a solid, energizing class that I would definitely consider adding to my exercise routine. Spending almost half the class on the treadmill was a genuine surprise for me, but I barely noticed the time go by since we were changing the incline and speed every few minutes. The other classes offered at Ferris360 likely have less of a focus on the treadmill, so they may be worth looking into before writing off classes here if you're not a running enthusiast. Two days later, I find myself still feeling the effects of my Power60 class--a sure sign of an effective and successful fitness class. 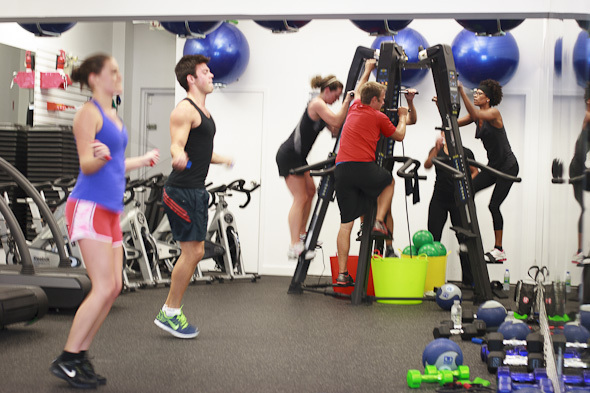 Ferris360 has also recently begun offering two new class options--a Full360 Tabata and Power60 Abs & Core class that run at various times throughout the week. 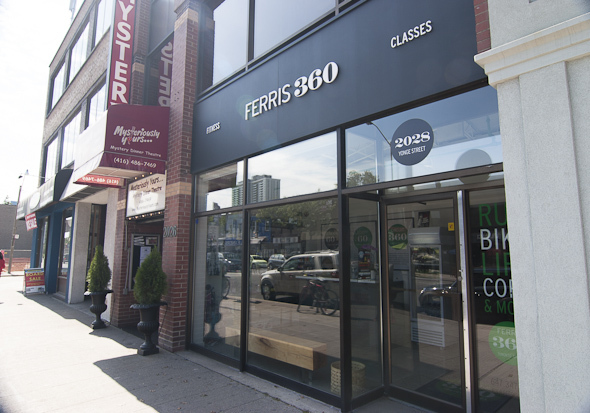 Ferris360 is located at 2028 Yonge Street, near Davisville station, and, as a bonus, the first class is free. Writing by Alison Ku. Photos by Gloria Nieto .